Want to stop slugs from ruining your vegetable and flower gardens without having to resort to using pesticides? Then we have you covered! Slugs can damage plants overnight! 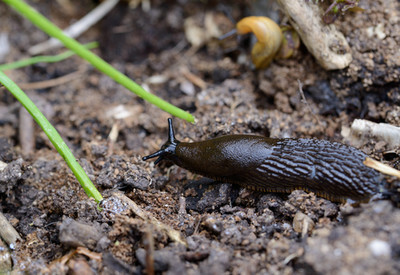 Slugs can cause serious damage to all kinds of plants in the landscape. From tender young vegetable plants, to annual flowers and perennial plants, slugs will show no mercy. They happily chew their signature holes into the leaves of plants, leaving them weak, damaged, and eventually, destroyed. 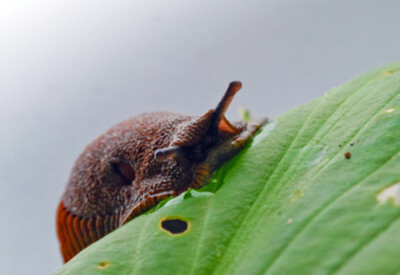 Slugs are most active in both the spring and fall. They prefer cool and damp conditions, and the cooler temps of the two seasons make it ideal for them to thrive. The slimy, slithering creatures can destroy plants overnight. In fact, one of the reasons slugs are so hard to control is that they do almost all of their damage while you sleep. Out of sight, out of mind – until you see the damage! Slugs are night-time creatures, coming out in the damp, moist and cooler temperatures of the overnight to do their dirty work. As you wake up, they hide under leaves or in the soil, to lay in wait for the next evening. But with a few natural remedies and a little diligence, you can control slugs from destroying your plants. coffee grounds can stop slugs in their tracks. Coffee Grounds – Coffee grounds really are a gardeners best friend! The rough edges of coffee grounds are deadly to the slimy skin of slugs. When they attempt to crawl over the grounds, the sharp edges act like razor wire. Not only will it stop slugs cold in their tracks, the coffee grounds have a wonderful side effect for plants. They also act as a wonderful natural fertilizer, releasing small amounts of nitrogen to plants. Egg Shells – Just like coffee grounds, crushed egg shells stop slugs with their sharp edges. Crush a few shells up in your hand and sprinkle around the base of plants. Just like the coffee grounds, the eggs shells will add nutrients to the soil as the decompose. Egg shells and coffee grounds can actually be used all over the garden with great results. See : Planting The Garden – Why Coffee Grounds and Egg Shells are a Gardener’s Best Friend! Although not full understood why, copper is actually a great deterrent against slugs. 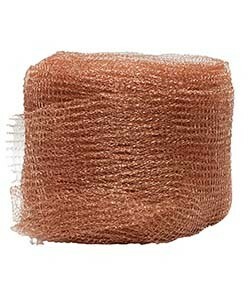 It is thought that perhaps the slimy, wet make-up of the slugs outer skin reacts negatively with the copper. But for whatever reason, it really works in repelling slugs from plants. This is probably the most well-known of natural ways to stop slugs. Slugs for one reason or another love beer, and are highly attracted to it. Beer traps definitely work, but there are a few things that will increase the likelihood of success. Use smaller flat style containers filled to the halfway point with beer. Small plastic food containers or tuna cans work well for this. The slugs are attracted to the beer, then easily crawl into the bowl and drown. Keep traps near the edge of gardens to draw slugs outward, not into the garden. In addition, keep fresh beer in the traps each evening. Slugs love the rinds of melons! They can be used much like beer traps to lure slugs in. Simply take leftover rinds, and lay them along the edges of the garden in the evening. Be sure to turn them upside down, and when you return in the morning, you will have a virtual slug party on the rind. This method does not kill the slugs, but allows you to trap and dispose of large populations quickly. Diatomaceous earth is a fine, chalky-like substance that is all natural. It is created from the fossilized remains of microscopic creatures from long ago. The dusty substance has microscopic razor-like edges that cut into the body of slugs. As it cuts into their skin, it dries out the slugs outer skin, stopping them in their tracks. Happy Gardening! Jim and Mary. Happy Organic Gardening! Jim and Mary. To receive our 3 Home, Garden, Recipe and Simple Life articles each week, sign up below for our free email list. You can also follow us on Facebook, Twitter, Pinterest, or Instagram. This article may contain affiliate links. ← Liquid Fertilizers – 4 Organic Solutions To Power Your Garden And Flowers! This is EXACTLY the help I needed right now! My plants are being attacked by slugs and I didn’t know what to do. I tried the beer traps a few years ago – never caught a slug but every morning the saucers were empty. Discovered the dog has a drinking problem.